Stock in trade, Raw materials and consumables stores held for the purpose of business or profession. Personal effects of movable nature, such as furniture, utensils and vehicles held for personal use by the assessee or any dependent member of his family. Agricultural land in India which is not situated in any specified area. Gold Bonds issued by the government of India including gold deposit bond issued under the gold deposit scheme notified by the cent.Govt. 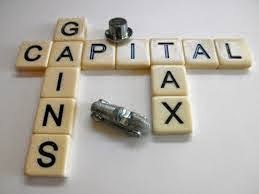 Capital gain arises from the transfer of any capital asset. Distribution of assets by a company at the time of liquidation shall be regarded as a transfer and subject to capital gain in the hands of the shareholders. The assessee is allowed to opt for market value as on 1.4.1981 in case of: all capital assets other than depreciable assets, goodwill of a business, right to manufacture,etc. 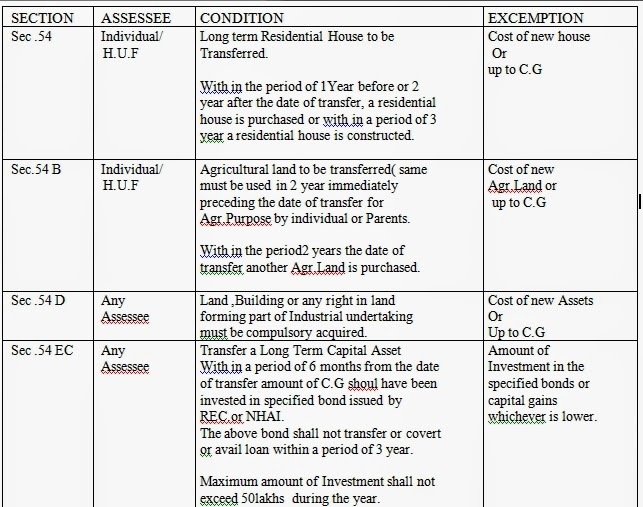 Where the capital asset became the property of the assessee in any mode given under section 49(1), the cost of acquisition of such assets shall be: cost for which the previous owner of the property acquired it . In computing capital gain arising from transfer of a long term capital asset deduction can be claimed for the cost of acquisition and cost of improvement after indexing the same. for the year beginning on the 1St day of April 1981, which is later. The Transaction of sale should take place through a recognized stock exchange. The amount of income tax payable on the balance amount of the total income as if such balance amount were the total income of the assessee. 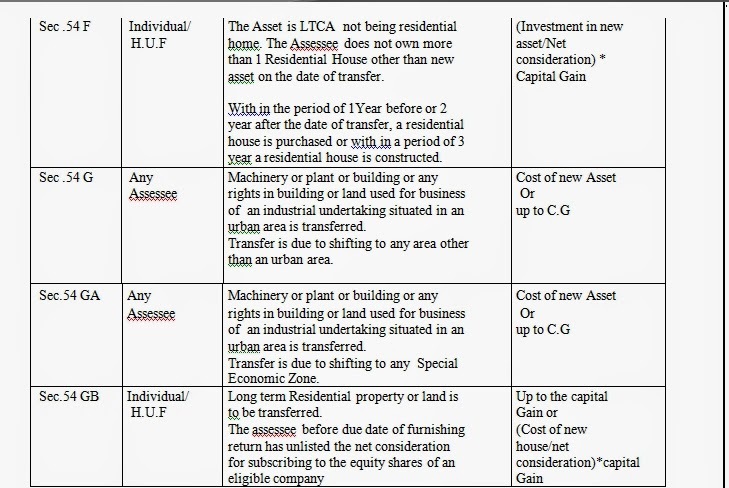 In the case of an individual or HUF, being a resident, where the total income as reduced by such short term capital gain is below the basic exemption limit then the short term capital gain shall be reduced by the amount of basic exemption limit not exhausted by any other income and only the balance short term capital gain shall be chargeable @15%. For a non resident assessee adjusting of basic exemption limit against short term capital gain shall not be applicable .Hence the entire amount of STCH shall be subject to tax @15%. Assessee is not entitled to claim any deductions provided under Chapter VI-A in respect of such Short Term Capital Gain. Tax on Long Term Capital Gain Sec.112. Where the total income of an assessee includes any income, arising from the transfer of a long-term capital asset, which is chargeable under the head Capital gains, such long term capital gain shall be charged to tax at 20% rate. Any L.T.C.G araising from transfer of equity share of a company or a unit of equity oriented fund which are listed in a recognized stock exchange is excempt from tax u/s 10(38). Where the transferred L.T.C.A is in the nature of listed securities or Units of UTI or Mutual fund or Zero coupon bond ,the gain arising from transfer of such securities or units shall be liable to tax at the rate of 10% on such LTCG computed without the benefit of indexation or at the rate of 20% on such LTCG computed availing the benefit of indexation whichever is more beneficial to the assessee. The possibility of Applying 10% or 20% tax rate shall arise only in case where the listed shares are not traded through a recognized stock Exchange and not chargeable Securities Transaction Tax. Please confirm purpose of PDF File.